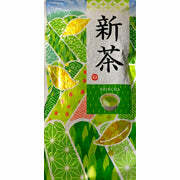 USDA Organic Shincha Sae Midori offers yet additional variety in our Shincha product line. 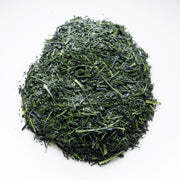 The first brew is subtly sweet and offers a mild spicy flavor we never notice in other green teas. The second brew becomes slightly earthy in tone. Our highly skilled supplier has created another masterpiece of taste. Please give it a try. 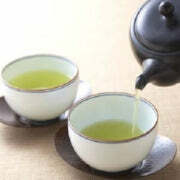 This tea has been grown, processed and packaged according to the strict guidelines of the USDA (United States Department of Agriculture) and is certified organic. Notes: We brewed the tea as suggested above in our taste tests in order to write the product description. We recommend that you experiment with your own techniques to find your most desired taste profile. For a healthy and invigorating refreshment in hot weather chill the liquid in your refrigerator/freezer to the desired temperature or pour over ice.